Keep your ID Maker® Zenius and Primacy printers running at peak performance! For continued high-quality ID card printing, we recommend a good cleaning every 700–1,000 prints. This basic cleaning kit includes pre-saturated cleaning cards, pre-saturated cleaning cloths, cleaning swabs, and instructions to clean your printer. Kit includes: five pre-saturated cleaning cards, 40 pre-saturated cleaning cloths, five cleaning swabs, and instructions. Kit is designed for ID Maker® Zenius and Primacy ID card printers. 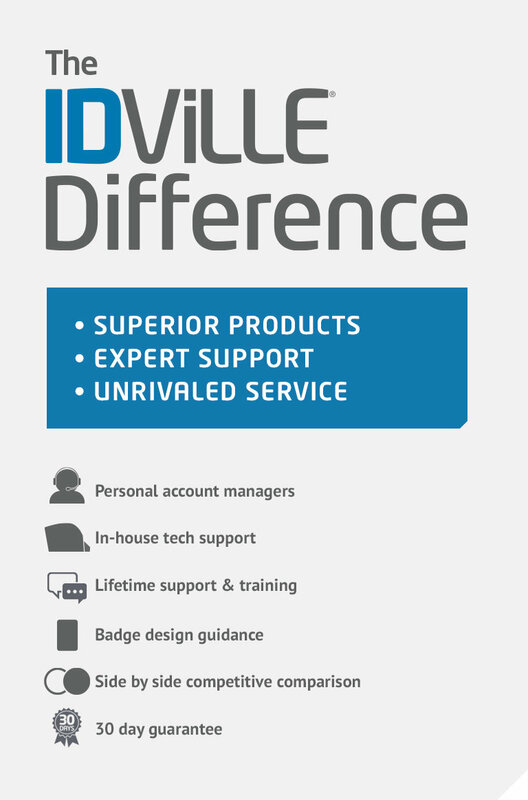 Our company orders nameplates from IDville and have never had an issue with the company. It is easy to design items and place order. Would recommend this company to anyone!